Born at 33 Avenue Road, Winslow on 25 Aug 1901. His full name was Walter Cecil, but he was always known as Cecil. Sister: Edith Rose, born 1904, married Sidney Gooding of Winslow, lived at Birmingham and Weston-super-Mare. Cecil Walker attended Winslow School and then got a scholarship to the Royal Latin School at Buckingham, coming 4th out of 138 competitors (Buckingham Advertiser, 2 Aug 1913). His schoolfriends included Frank Monk of Tuckey Farm, Dave Hodgkinson of Avenue Road and Reg Langley of Park Road, who remembered him as "a long-headed kid". In 1916 he was reported as achieving Honours, Class III, in the Oxford Junior Local Examinations (predecessors of O Levels). He would have been eligible for Oxford University but his family couldn't afford it. He appeared in the school's amateur theatricals with, it was reported, "a clear voice" and played in goal for the football first XI. He played the piano for silent films shown at the Oddfellows Hall in Winslow. He was given his first job in local government by W.N. Midgley, Clerk to Winslow Rural District Council and Board of Guardians. In 1920 he started work at Knutsford, Cheshire, as Assistant Clerk to the Bucklow Board of Guardians at an annual salary of £130. He was Deputy Clerk to Bucklow Rural District Council from 1930-37, and became Clerk in 1946. Bucklow at the time was one of the largest rural districts in England. His job involved meetings with Government planning ministers and officials in London, and he thwarted Manchester Corporation's attempt to take Mobberley from Bucklow RDC. Cecil walked over most of Europe during holidays in the 1920s and early '30s. He married Ellen Berry, a Knutsford girl, in 1925, and their son Tony was born in 1929. While in Winslow he was befriended by Captain Leonard Green, a man who knew Lawrence of Arabia, worked for J. Arthur Rank, and during World War 2 was an assistant to the exiled King Peter of Yugoslavia. Captain Green would have visited Winslow and the Latin School during World War 1 in his capacity as Chief Recruiting Officer for Bucks in 1915-16 (Buckingham Advertiser, 12 Feb 1916). A journalist covering one of Cecil's official engagements wrote of him as "an avid reader and with his remarkable memory was able to quote whole chapters on a wide variety of subjects, both political and economic; this reading also made him a fine conversationalist while his genial manner proved an admirable complement to his forthright ideas in argument." Following his death in 1962, his funeral at Knutsford Parish Church was full to the doors with officials from Cheshire County Council and numerous adjoining authorities. He was honoured in 1971 by the opening by the Chairman of Cheshire County Coucnil of Cecil Walker House, a nursing home and flatlets in Hardwick Road, Partington. 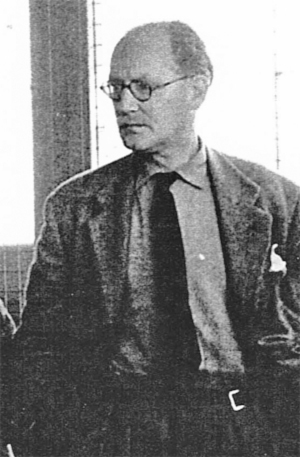 Cecil had a keen interest in literature, and in particular in the "Campion" detective novels of Margery Allingham. They maintained a lively correspondence for many years (now in the possession of the Margery Allingham Society), and when she heard of his death, Allingham wrote to his widow of her feeling that "Mr Campion and I have lost our greatest friend ... Your husband had an extraordinary gift of encouragement and appreciation and his letters stood out from all those I have received about my work. I cannot believe that I shall never get another."